January 20, 2017 | Jeff Hubrig Jr.
Sleek, aesthetically pleasing, powerful, luxurious, cutting edge, and bespoke are just a few words that can be used to describe Monaco based, Italian built Dynamiq Yachts’ philosophy on building superyachts. The company has a vision to produce a new class of superyachts which it calls GTT, short for Gran Turismo Transatlantic. The GTT yachts will be built with the same level of quality features and construction found on 60m+ superyachts. The company’s first launch, a 39m from the D4 series aptly named Jetsetter epitomizes all of these values and serves as an excellent representation of what Dynamiq Yachts is capable of and what the industry can expect from the company in future builds. When it comes to the process of building bespoke superyachts Dynamiq has broken the mold and created industry first ways to open up the superyacht design process for potential buyers. Prospective buyers can go to Dynamiq’s website (http://www.bedynamiq.com) and by using a revolutionary and thorough custom configurator are able to build their entire dream yacht from scratch with nearly all the options imaginable. Additionally, the configurator shows the price of each option and even the potential delivery schedule. 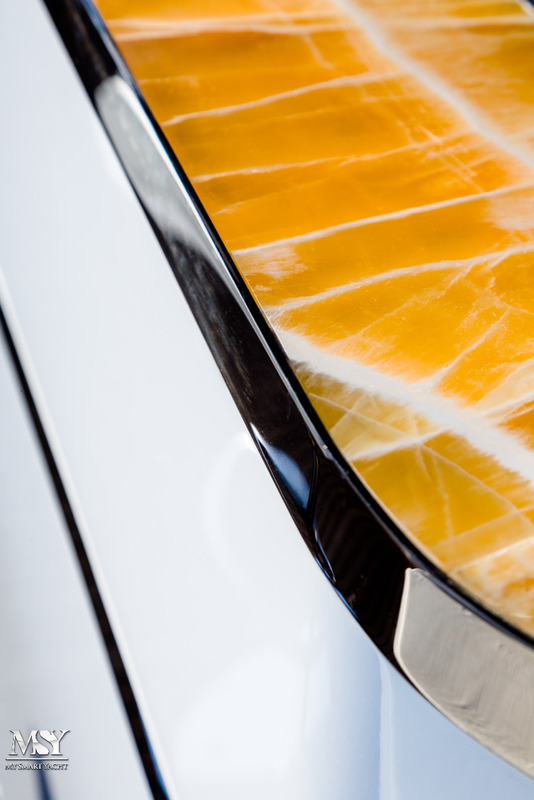 This level of transparency in the superyacht building process is unprecedented within the industry. Imagine a 39m yacht designed and built as if it were a 60m yacht. Dynamiq’s 39m flagship build Jetsetter can best be described as just that, it is the best of all worlds. It provides superior accommodations and functionality in a smaller, more cost effective and manageable package. 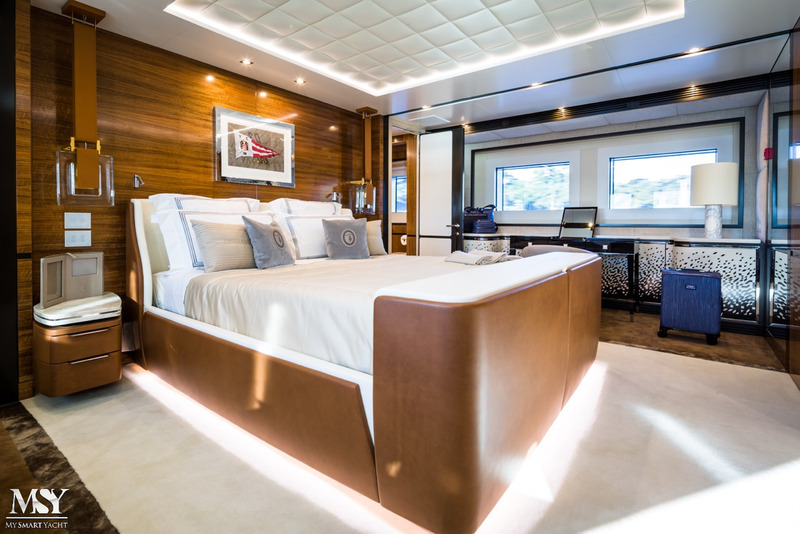 In fact, Jetsetter has been so successful at packing features and accommodation into a 39m meter package that it was awarded the honor of being a finalist for the “Most Innovative Motor Yacht” award of the 2017 Showboat Design Awards. Dynamiq managed to designed and deliver an incredibly versatile yacht that is capable of both a trans-oceanic cruising range and quicker island-hopping speed when time is limited and it is necessary to get to a destination quickly. In addition to the variable cruising speed that is sure to meet any owner’s needs Jetsetter’s draft is less than six feet, effectively allowing access to sheltered anchorages that larger or deeper draft superyachts cannot reach. Want to cross the Atlantic Ocean after a summer of cruising the Mediterranean and enjoy secluded anchorages in the Bahamas or other parts of the Caribbean? Jetsetter and other yachts by Dynamiq can make it happen in absolutely luxury and comfort. 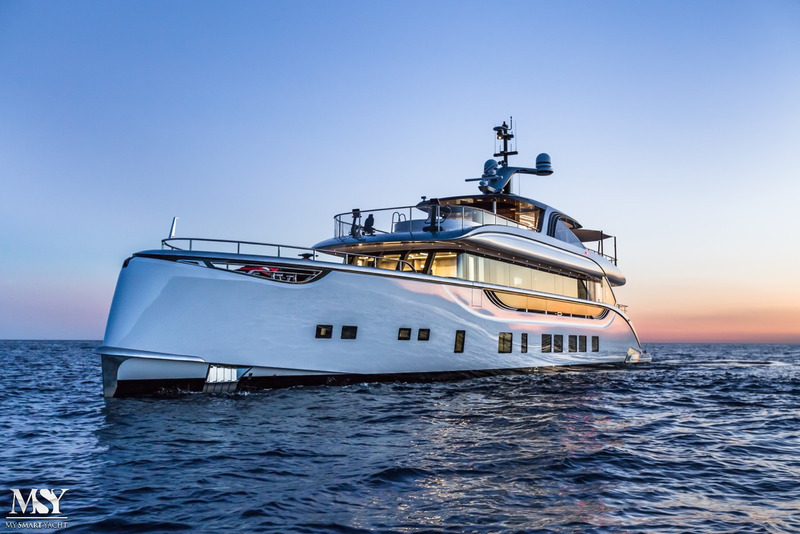 Jetsetter’s powerful and sleek exterior design is the work of Dobroserdov Design and the aluminum hull is the result of collaboration between Azure, Van Oossanen and Vripack naval architects. The result is not only aesthetically pleasing but also able to safely handle the variety of cruising conditions it may experience as it travels the globe. Electric zero speed stabilizers help to provide a comfortable ride around the world’s oceans. The hull is powered by twin 1,800hp MAN diesel engines and Fortjes pods that provide a quick and comfortable top speed of 21 knots while also allowing for a comfortable and leisurely cruising speed of 10 knots. At 10 knots Jetsetter has transoceanic range in excess of 3,000 nautical miles thanks to a fuel capacity of 25,000 liters. Jetsetter qualifies as RINA comfort class and RINA Green Star. Variable cruising capability isn’t the only aspect of Jetsetter’s design that is modeled after much larger superyachts. The exterior accommodations feature massive spaces such as a 20m long, 120 square meter sundeck that is in the same class as 60m+ yachts. On the inside a luxurious four cabin layout with accommodation for up to 10 guests and additional six crew members boasts vaulted ceilings that create an open and airy feeling akin to much larger yachts. The interior was designed by Bannenberg & Rowell and features the finest luxuries such as linens by Pratesi and other soft goods by Trussardi. The furniture is not fixed, meaning that buyers can further customize their vessels by selecting any pieces they desire. The interior also incorporates a large amount of premium Italian marble into its design. These are just two examples illustrating the extent of luxury options available on Dynamiq builds. The company has partnered with multiple industry leaders including Hermes, Baccarat, LoroPiana and many others. There is no limit to the level of luxury customization available on a Dynamiq yacht. Dynamiq thought of everything including the smallest of details when considering how to provide the ultimate pleasurable luxury experience to customers. Little touches such as a scent atomization feature allows scents to be atomized and distributed throughout the vessel’s cutting edge Condaria air conditioning system to ensure a subtle and pleasant odor of freshness throughout. Other small details that cannot necessarily be seen but make a massive positive impact on the overall quality and contribute to a more enjoyable experience on board include windows made of XIR glass which is a laminated glass that blocks heat transfer by up to 60% meaning more efficient climate control and lower operating costs. Thanks to these sort of innovations Jetsetter has extremely low noise and vibration levels while underway. The loudest underway is the wheelhouse at a meager 55 dBa. 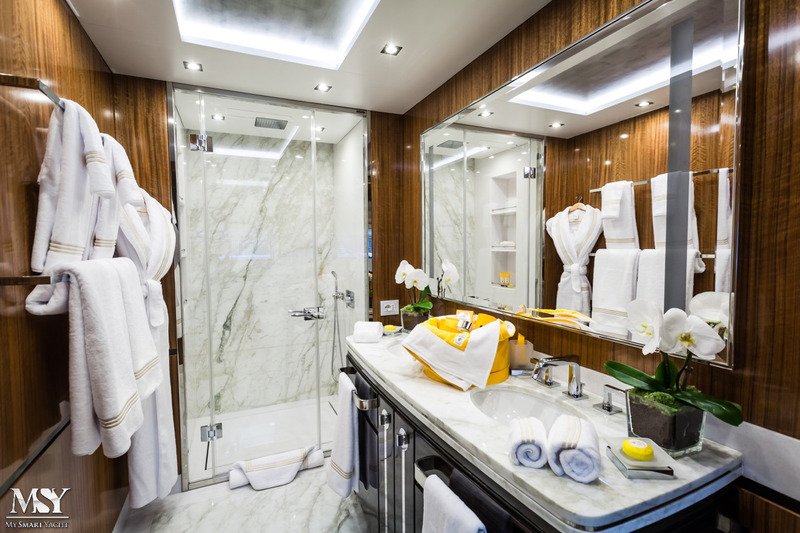 At anchor the master stateroom and guest cabins measure a miniscule 40 dBa and the wheelhouse just 45 dBa. 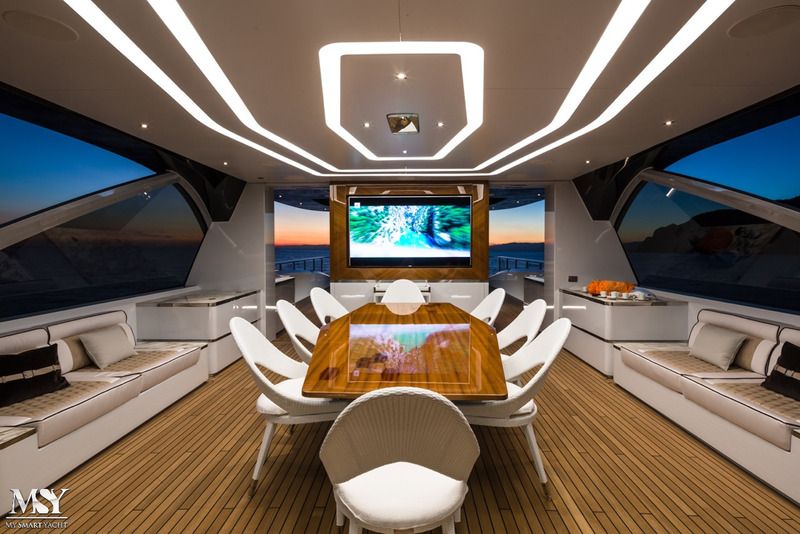 The huge 120 square meter sundeck incorporates a 75” television with an ultra-premium Bowers & Wilkins surround sound system for an al fresco theater experience. When it is time for a shore excursion Jetsetter delivers with a tender garage that houses a 4.9m Castoldi tender. 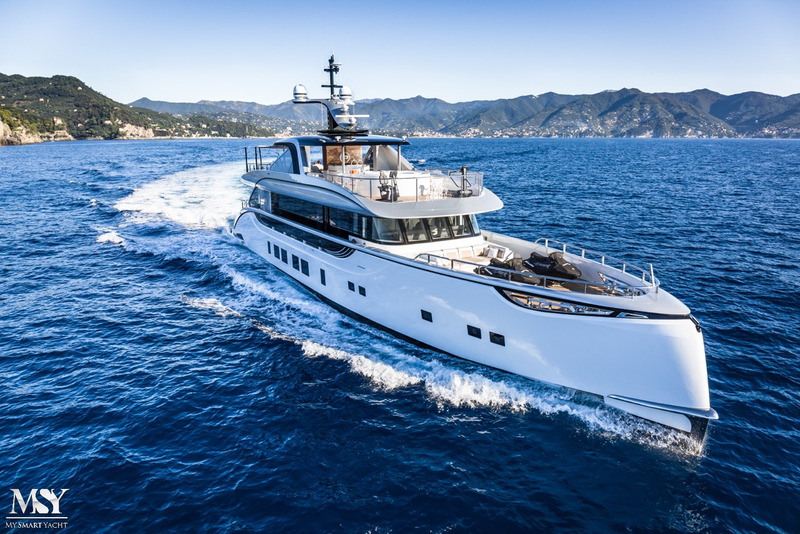 As Dynamiq’s first launch Jetsetter has clearly set a new standard for the level of comfort and efficiency that can be achieved in a 39m superyacht. The innovation that Dynamiq has implemented goes beyond the yacht itself and starts with the ordering and build process thanks to the custom superyacht configurator available online. Such a streamlined and transparent process for building superyachts will surely making a lasting impact on the way things are done in the industry. Dynamiq currently has others superyachts under construction including a D3 that is scheduled to be delivered in 2017.